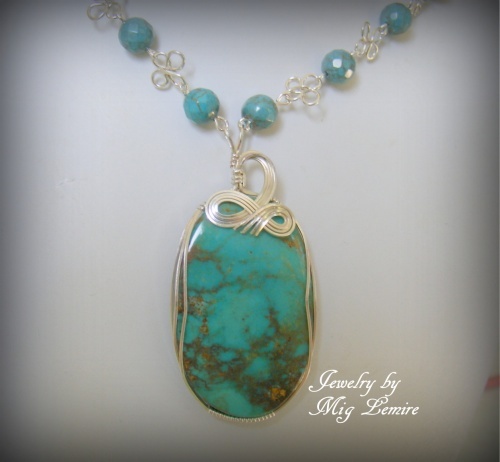 This amazing turquoise gemstone is so dramatic with its sterling silver bow like design showing off the color of the gemstone with its caramel color markings. The beads are turquoise and the interlocking pieces were made to look like a lucky 4 leaf clover. Focal is large and measures 2 3/4" long and1 1/4" wide. 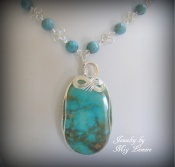 Necklace measures 18" long. Matching earrings are included.